In any space, no matter how grand or simple, flowers can add that final touch. They quickly become the focal point of a space – their color, texture, and fragrance easily make a room or nook feel instantly chic and more pulled together. From bold neons and bright primary hues to subdued earth tones and bleached blooms, nothing dictates the overall feel of a floral arrangement quite like its color story. The range of palettes is almost dizzying, but the keen eye of Carithers Flowers expert design team can help you navigate the selections amidst a sea of colors. Whether you operate under the adage, “less is more” or subscribe to the “more is more” philosophy, Carithers Flowers has a floral arrangement to fit your unique aesthetic taste. 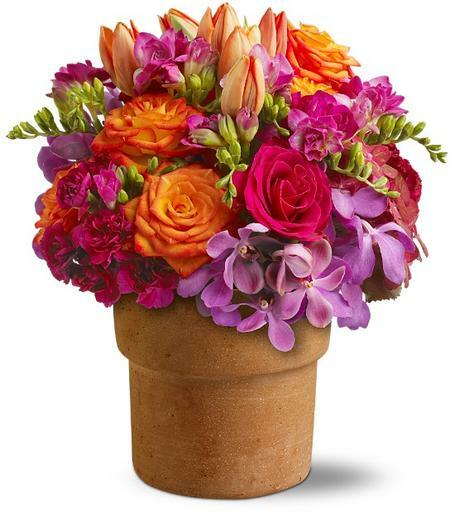 Take a look at a sampling of the colorful options available on www.carithers.com or call Carithers Flowers at (404) 418-7443 to have its award-winning design team create you’re a masterpiece that is uniquely yours. 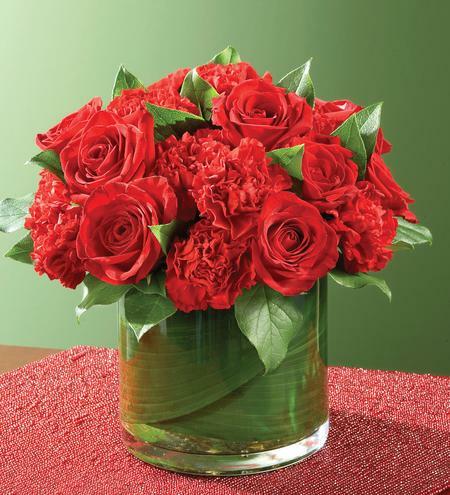 Deliver a “Sensation” with this red on red floral cube, featuring garden red roses and long-lasting red carnations in a chic European glass cylinder. A monochromatic arrangement of these flowers is guaranteed to make a dramatic impression. Sometimes great beauty can be captured in a simple display… like this eye-catching pairing of hot pink and orange roses, cool purple orchids and pink and red blossoms in an unadorned terra-cotta pot. It’s a fragrant, lovely dance of flowers and a stylish choice for any occasion. 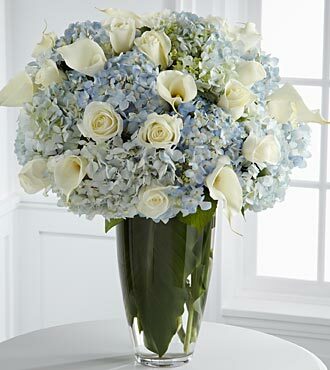 Deliver an elegant bouquet of their favorite southern flowers – Hydrangea, Calla Lilies, and White Roses. The fluffy cloud-like shape of hydrangea and the deep flush of roses boldly dominate and saturate this sophisticated display. Don’t forget to follow Carithers Flowers Twitter and receive 10 % off your order using the special Twitter promo code. Become a friend on Facebook to view the latest event photos and videos from Carithers award-winning design team.